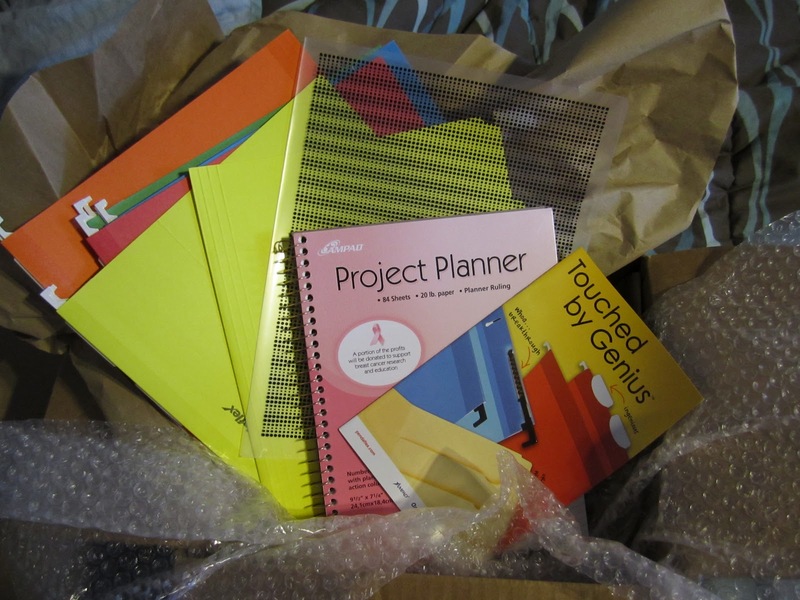 This month’s office supplies review package from Shoplet and Esselte was a handy one. You can never have enough File Folders or File Jackets and even though I have other Daily Planners, the one included in this package has a great layout–just in time for me to use it for a trip to North Carolina. We’re asked to review three of the items, and I chose the Project Planner, the Copysafe File Jacket and the Divide It Up File Folder. 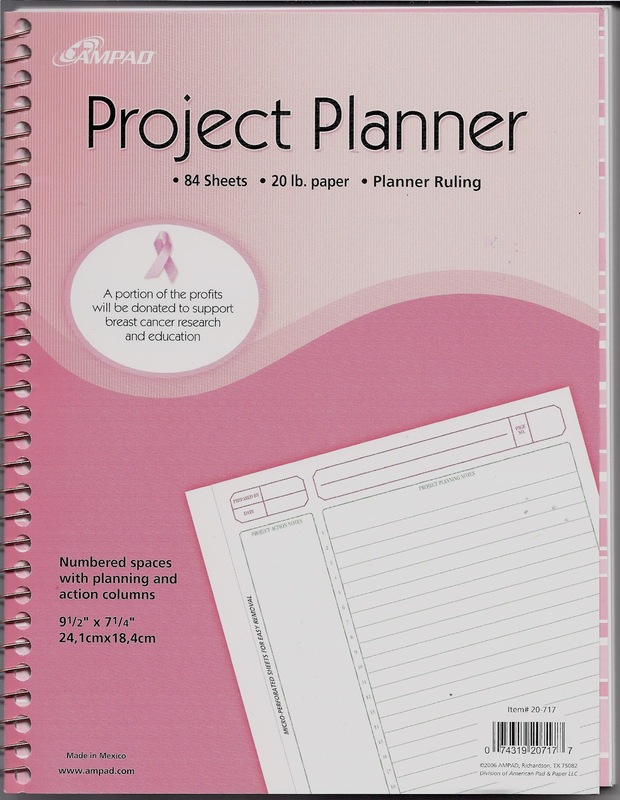 The Ampad Project Planner comes with a double front cover (pink, because a portion of the profits go to benefit breast cancer research), and a sturdy cardboard back. The page is a bright white with Teal and Rose print. The pages are a thin, but the planner weighs more than I expected it to. 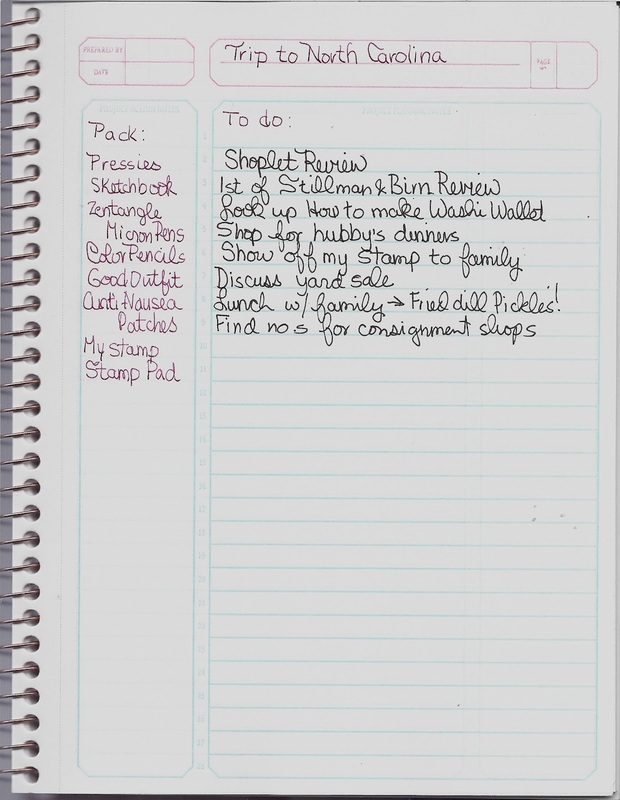 The layout has headers for identifying and dating the subject and the page is broken into two areas, one labled Action and one labeled Planning. I ignored that-both my lists are action, but one is To Do before leaving on Monday and one is a list of what to pack. I like the split layout because I often do need to take notes on more than one aspect of one subject–for instance, when doing artwork in sketchbook for review, I would take notes of the products I’m using, but I also take notes of the techniques and ideas I want to share. I think the holes for the wire coil are a bit too large. They allow the pages to turn easily. Combined with the weight of the planner and the thin pages, I believe pages will easily be torn out just from the wear and tear of carrying it around. 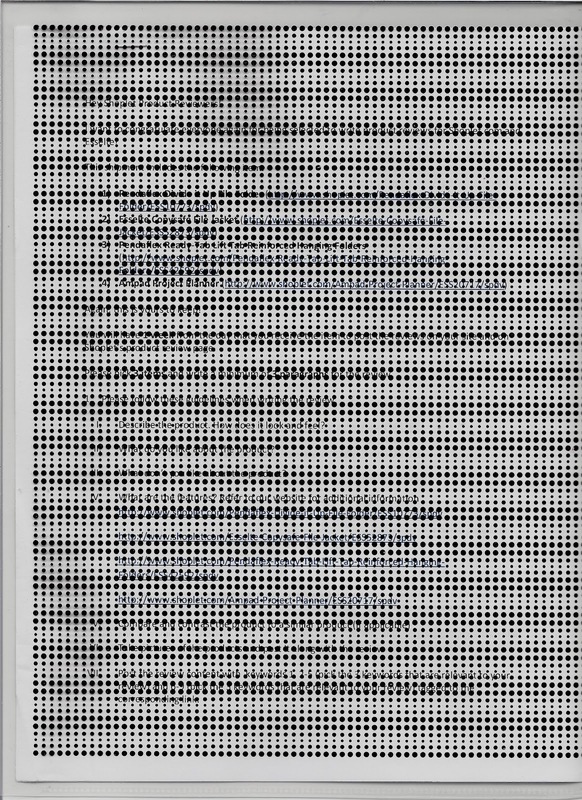 Each page is microperfed, 20 lb paper and there are 24 sheets in all. 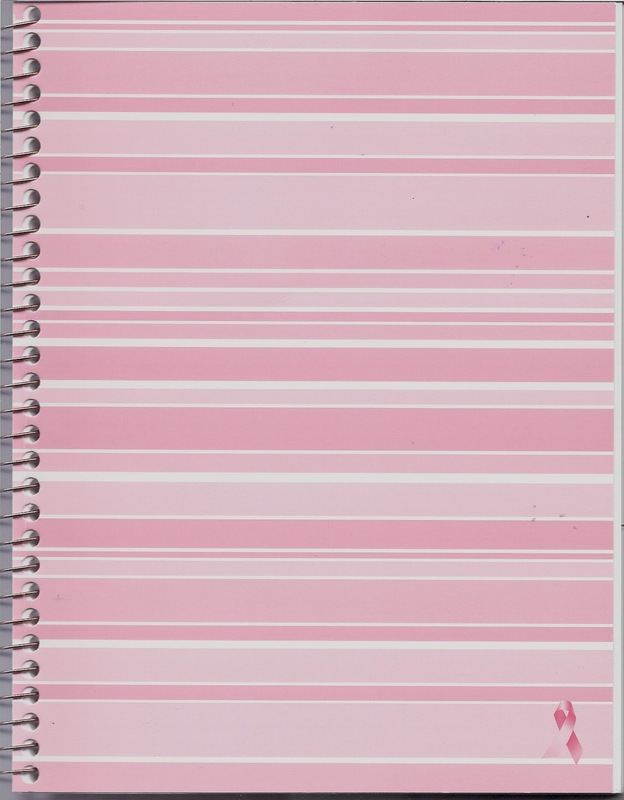 The planner is 7.25″ x 9.50″ in size, not too big, not too small–Goldilocks would approve! This is a clear poly sheet protector embedded with a dotted design that makes a B&W document impossible to read. It’s sealed on the side and the bottom to keep documents secure, but easily removable. It has a finger-sized cutout that makes it easy to grab the document and pull it free. I like that the poly material is thick, yet it is still flexible. I don’t think it will crack or tear easily. However, I did notice that colored text is readable through the dot design. Not easily readable, but if someone were interested, they could read it. Sometimes, the most important wording is in color! The jacket is tear- and moisture-resistant and holds up to 8.5″ x 11″ size documents. Honestly, I don’t have any materials I want to keep private, but I’m eyeing this with the intention of using it to get interesting effects in some artwork. It will probably end up being an art journal cover! The Divide It Up File Folder was my favorite product in the package. It looks like a pretty standard manila folder, until you open it and see the three pockets–all the better for organizing your files! It’s made of a sturdy 11 pt. Manila, and the pockets are two-toned making it really easy to tell where the pockets start and end. I love this idea. The pockets are open-ended on the side, which allows for larger documents, and ease in getting the documents in and out. But it will also allow for said documents to fall out. No different from the usual file folder, but I think I would have preferred the sides to be secured. The pockets are actually strips cut from one piece and attached by a smaller strip at top. It doesn’t look sturdy to me, I think if you overload the file, the pockets may come loose. Despite this I do like the folder, and wish I’d received more. I know my next purchase of manila folders will be Divide It Ups. I’ll be using them for filing my bills! The folders are sold in packs of 12. 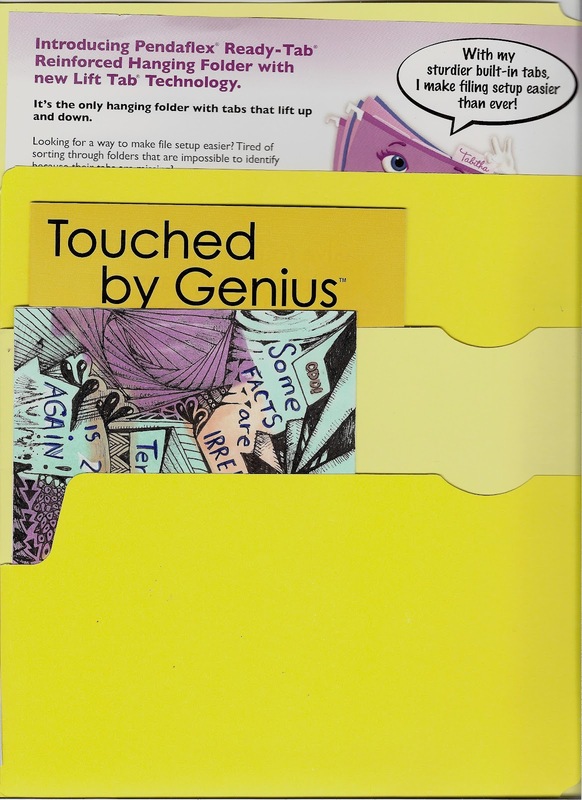 The pockets have an expansion of 3/4 inch and can hold up to 175 sheets of paper. They are Acid Free SFI certified.